The conference series RegioResources 21 was started in 2011 by the European Land-use Institute (ELI, http://www.eli-web.com). ELI is a cooperation of 67 partners in 21 European and non-European countries that focuses on how to organize and harmonize approaches for integrated land use research. In July 2012 ELI became the European Nodal Office of the GLP (Global Land Project) with a focus on land management, land use planning and land use policies (http://european-nodaloffice.eli-web.com/). IUFRO’s Working Party on Landscape Ecology was also involved in the RegioResources (RR) 21-2013 conference, which took place from 18-20 September 2013 (http://regioresources21.eli-web.com/) in Catania, Italy. The Working Party aims to promote and facilitate the application of landscape ecology concepts in policies and practices related to forested landscapes worldwide (http://www.iufro.org/science/divisions/division-8/80000/80100/80102/). How can ecosystem services be mapped and assessed for providing useful decision-support for planning at local to regional scales? How can ecosystem services assessments be integrated into land use planning frameworks at different scales from urban to landscape? What are the effects of integrating the ES concept in planning practice in terms of science impacts and collaboration between experts, decision-makers and stakeholders? How can we facilitate a greater uptake of the ES concept among planning authorities and decision-makers? Ecosystem services (ES) are broadly accepted to assess the impact of land-use and management strategies across all land system research disciplines. Use in practical planning in trade-off analysis however request standardized indicator sets, assessment tools and adapted monitoring systems. What is most important is to provide “actionable” knowledge to overcome the problem that the ES concept is of interest for scientists rather than for decision makers. A paradigm shift is to turn away from the single ecosystem as assessment unit towards an integrative landscape scale approach, which acknowledges that most environmental parameters are continuous in space and time. 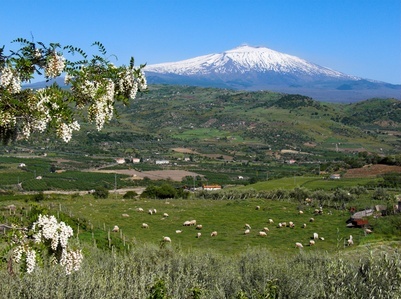 The 2013 conference was jointly organized by the Global Land Project / European Land-use Institute as GLP European Nodal Office together with the Ecosystem Services Partnership (ESP), WG 9, Planning, Management and Restoration and IALE-IUFRO LE and was hosted by the University of Catania (Italy) – Department of Architecture (DARC). With about 80 participants from Albania, Belarus, Brazil, Czech Republic, Chile, China, France, Ghana, Germany, Italy, Poland, Russia, Serbia, Slovenia, Slovakia, Spain, Switzerland, and United States of America, a broad range of different cultural and regional perspectives in natural resources management was represented. Results of the conference shall be published in three special issues of Ecological Indicators, Elsevier (Developing and Applying Ecosystem Services Indicators in Decision-Support at Various Scales), Landscape and Urban Planning, Elsevier (Planning Landscape for ES: assessing and balancing trade-offs among land-use options) plus a series of articles and perspective papers in Change and Adaptation in Socio-Ecological Systems (CASES, Versita/de Gruyter). In addition, one accompanying special issue in Ecological Processes, Springer (Integration of ecological processes in land-use planning by using the concept of ecosystem services) shall be published. The next RegioResources21 conference will be held in Katowice (Poland) 05/06 2014, hosted by the Central Mining Institute in cooperation with the Technical University Opole focusing on “Regions in Transition – restoring landscapes, ecosystem services and the environment”. Major topics will be integrated land and water resources management, use of ecosystem services for environmental policies assessment and consulting, and approaches for environmental planning including participation mechanisms. A stakeholder workshop and an excursion that will brings up the special features of “technopoles” in highly industrialized regions such as Upper Silesia, Poland, will also be offered. Information provided by Dr Christine Fürst (University of Bonn, Centre for Development Research).